The 66th Berlinale International Film Festival is just around the corner (11-21st of February), and it’s getting more and more exciting every day, since they started dropping the names and titles of the privileged programme. 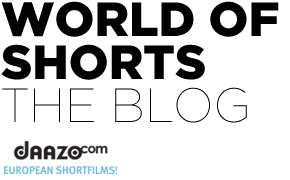 And today was one of these amazing moments – they announced the official shortfilms! And one of our young Hungarian talents, the creator of the Oscar-shortlisted shortfilm Symphony no. 42. is also made it to the list with her new short called LOVE! Congratulations Réka Bucsi, we are very excited for you! 25 films from 21 countries will compete for the Golden and the Silver Bear, the Nominee for the European Film Awards and, for the second consecutive year, the Audi Short Film Award worth € 20,000. “Placed together, the films at Berlinale Shorts 2016 constitute one body of work, a cinematic essay – providing scope for an endeavour that reaches far beyond the individual film: The longing for arrival is reflected in many of the selected films – regardless of where in the world they come from. Everyone wants to arrive,” curator Maike Mia Höhne, commenting on the selection. The logo and the poster is the official artwork of the 66th Berlinale Film Festival. Previous postLast call for Go Short Campus! Next postTrainings and workshops at Filmfest Dresden!